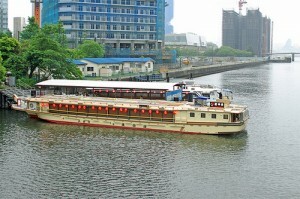 If you visit Japan, you should put yakatabune cruising on your “want to do” list. 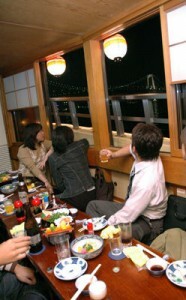 Yakatabune is an old-fashioned Japanese house boat, on which people eat, drink and sing. It’s perfect for a large group party and also a couple or family. Yakatabune is open for day and night. During cherry blossom season, it might be better to take daytime cruise to see beautiful cherry blossoms, and in the summer, take night cruising to see fire works. 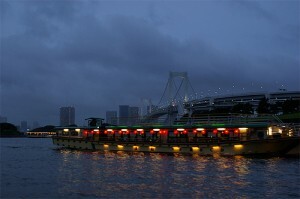 The typical foods they serve on the boat are tempura, sashimi, nabe (hot pot), and seasonal food. Many yakatabune have “all you can drink” on their menus. 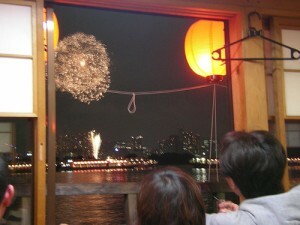 You can enjoy karaoke, see a traditional performance, or fishing on the sea. To take a yakatabune, reservation is required. You can reserve one from these sites. Japanese Kei-car Flexes its Muscles on a Snowy Day!